UK Prime Minister Theresa May has made it plain that London wants to ensure that Gibraltar becomes part of a transition deal with the EU in the post-Brexit era. It would be an "incredibly hard" task, Chris Grocott, Lecturer in Management and Economic History at the University of Leicester told Sputnik. Touching upon a "very complicated arrangement" which is being negotiated between the EU and the UK, Chris Grocott, Lecturer in Management and Economic History at the University of Leicester and author of Gibraltar: A Modern History, drew parallels between the Gibraltar issue and the one related to Northern Ireland. "Originally, the Gibraltar government's position was that they wanted effectively whatever deal Northern Ireland got, they wanted the same deal.Right at the start of all this, it seemed unthinkable that there would anything other than an open and fluid border between Northern Ireland and Southern Ireland; in the last couple of months, all of that has changed quite dramatically," Grocott said. At the same time, he made it clear that "some of the solutions that were proposed in Northern Ireland certainly wouldn't suit Gibraltar." 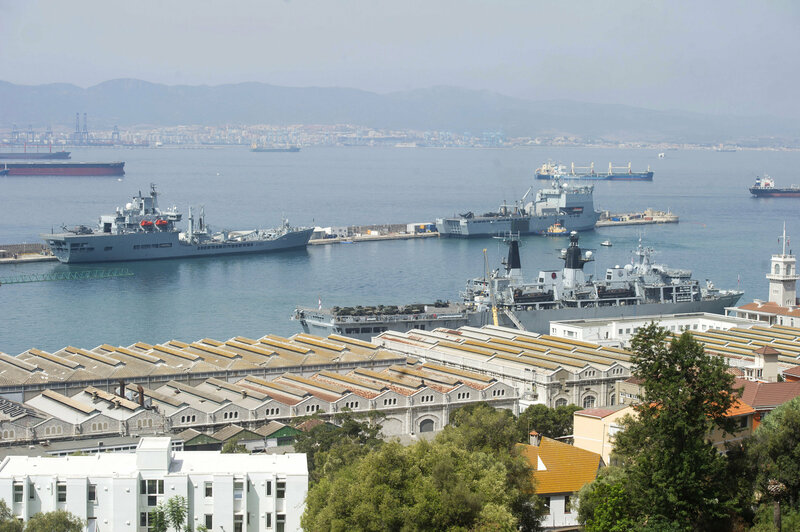 He pointed to Gibraltar's "sense of solidarity" with the European Union when Gibraltarians overwhelmingly voted to stay in the EU during last year’s Brexit referendum. "What exists now could exist in the future, there is no reason for that not to be the case," Grocott pointed out, referring to Gibraltar's economic relationship with the EU, of which it has been a part since 1973. When asked about whether the UK will make concessions to Spain in terms of Gibraltar's sovereignty, Grocott said "that is going to be incredibly difficult" because of the Constitution of Gibraltar, which he said "is very clear that the UK Government can feel sovereignty without the explicit approval of the people of Gibraltar." "What the Gibraltar case will do, just as the Northern Ireland case is doing, is demonstrate to people how difficult this process of Brexit will be in terms of [providing] labor, services and trade," he concluded. During last week's EU summit in Brussels, Spain's Prime Minister Mariano Rajoy insisted that the status of Gibraltar be part of any UK-EU deal, including the transition period. The territory of Gibraltar has been a matter of dispute between London and Madrid since it was ceded by Spain to the UK in the eighteenth century. Spain has been trying to regain control of Gibraltar ever since. The views and opinions expressed by Chris Grocott are those of the analyst and do not necessarily reflect Sputnik's position.